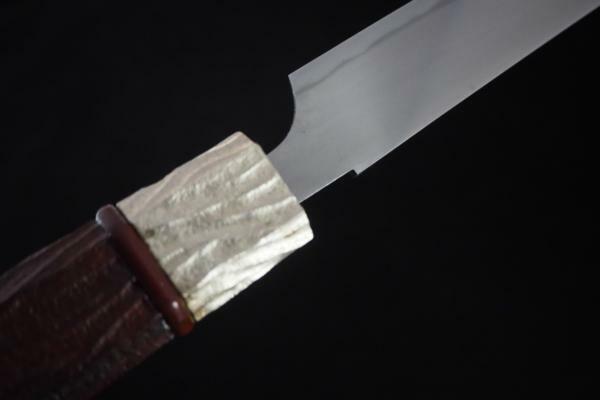 Swordsmith's (Mukansa) forged Tamahagane Hocho! Characteristics of his work is to polish the groundwork by himself, and there are many works which he got beautiful balance of the blade. 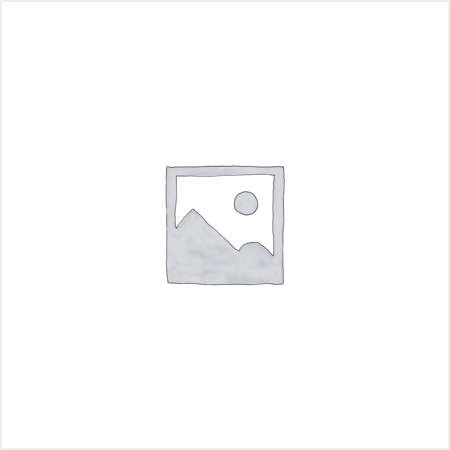 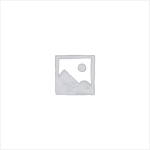 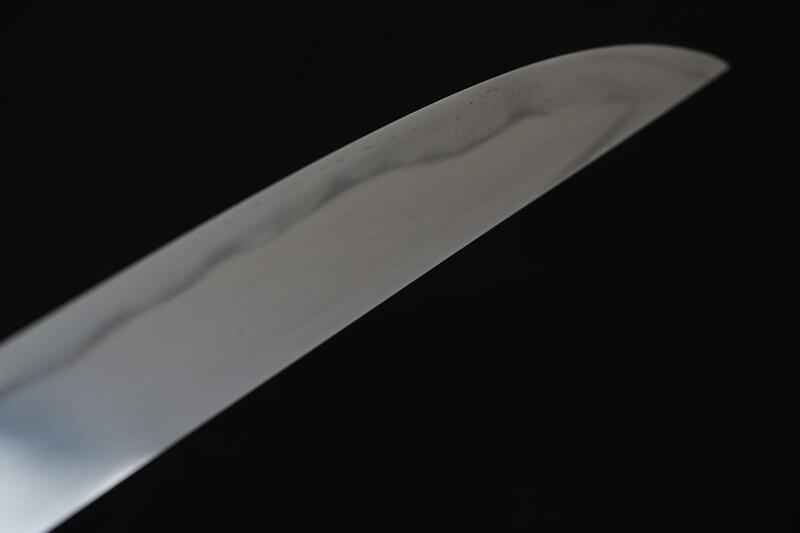 And ,his reputation is good for Bizen biography of Kamakura period, Shindo Kunimitsu and copying of Yoshimitsu. 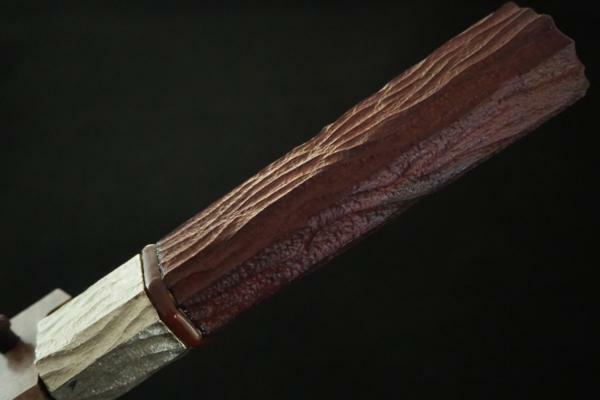 Especiall,copying “Aoe-utushi” is the particular great. 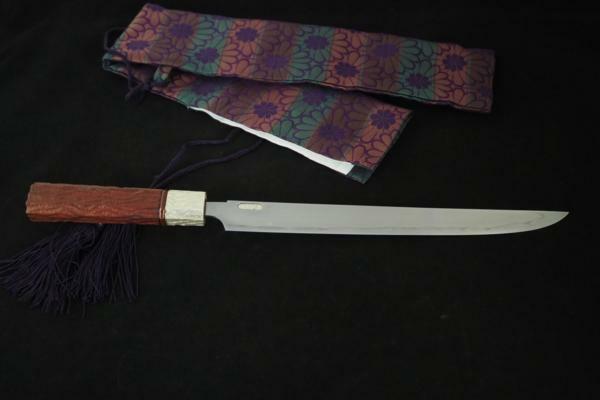 He won many grand prizes including the Commissioner of the Agency for Cultural Affairs Prize in a new work celebrated sword exhibition consecutively. 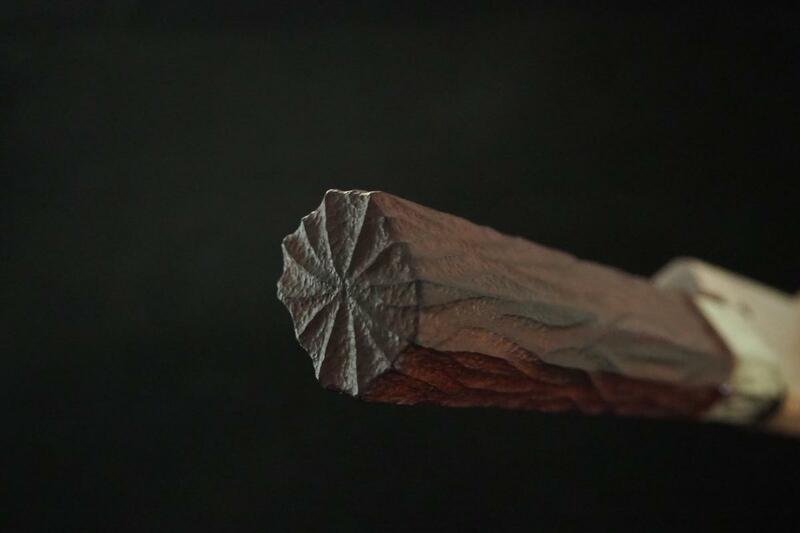 He became a person who does not have to be submitted to the selecting committee and collected next living national treasure and public attention. 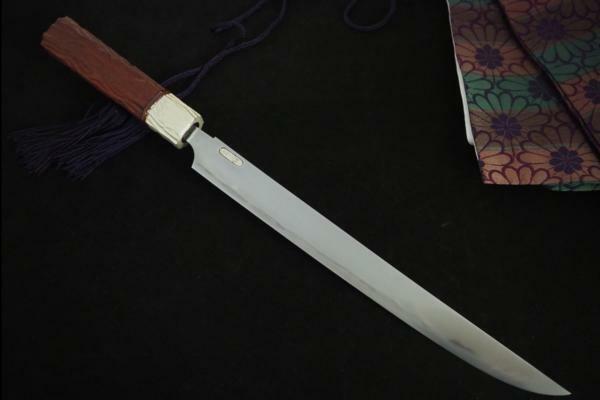 This work is 295mm短刀 by Mukansa(without audition) swordsmith Hirokuni Hiroki collaborated with Swordsmith Kazuaki Sakuma who was his senior disciple . 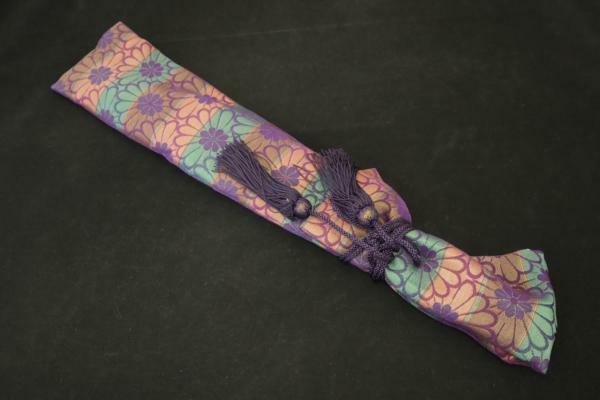 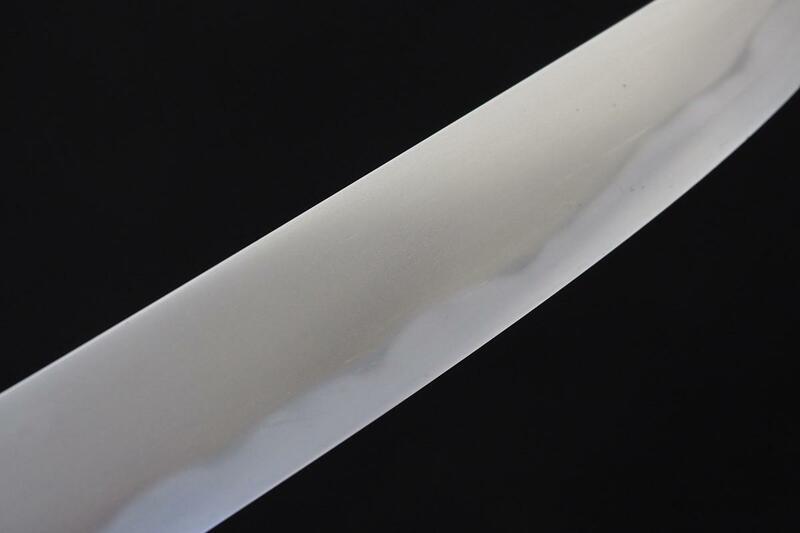 We changed this to a Hocho by an excellent sword polisher of swords whom 藤(Tou) selected. 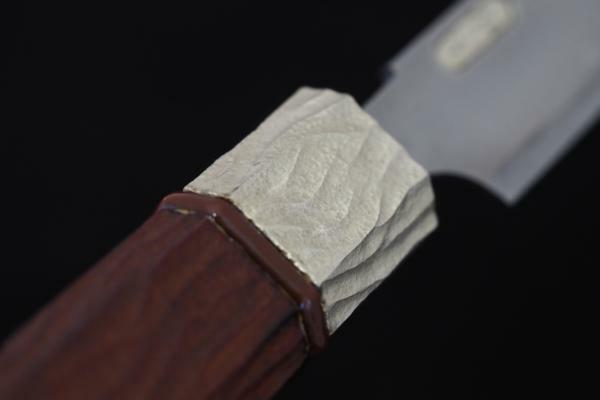 A famous custom knife maker was in charge of the handle and sheath. 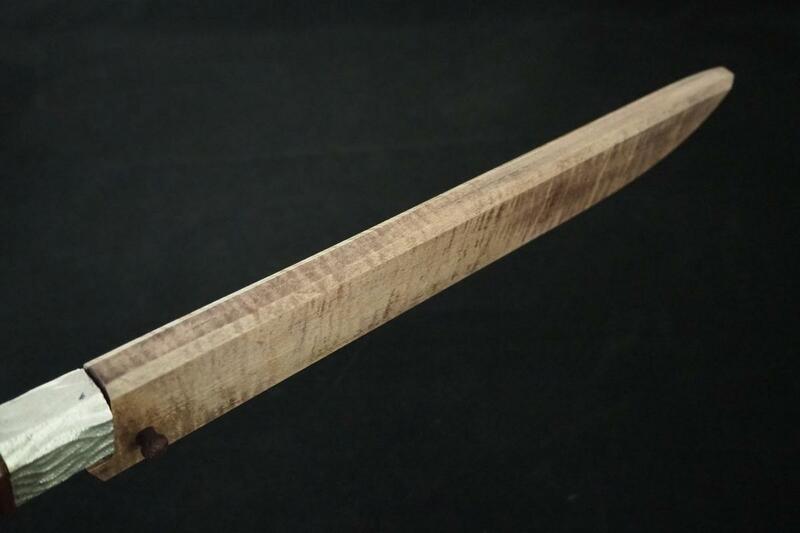 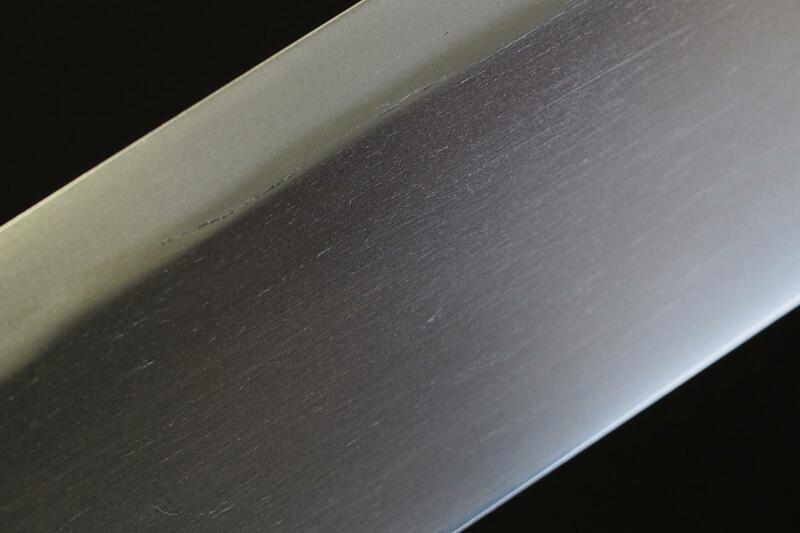 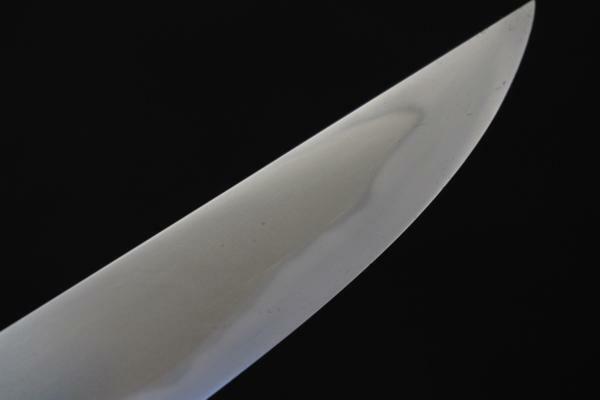 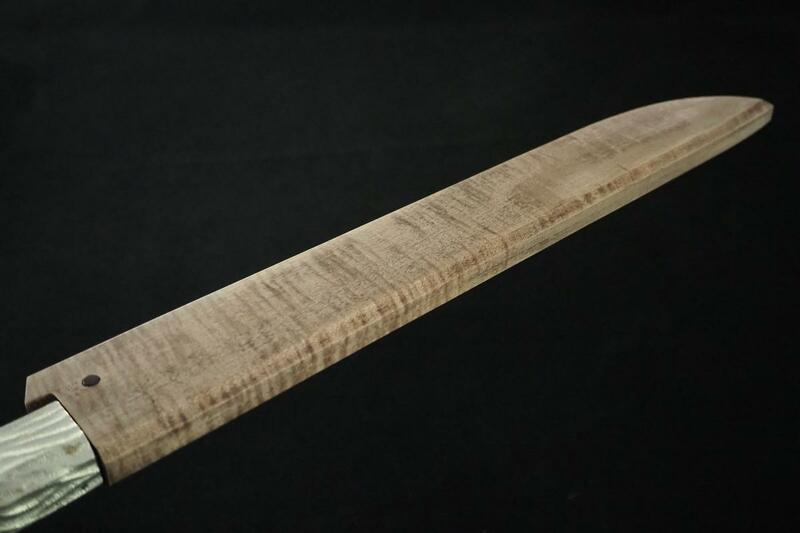 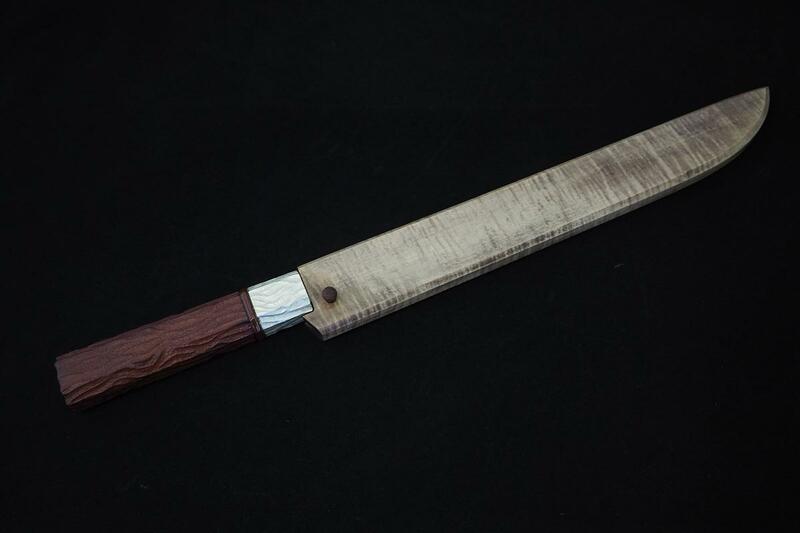 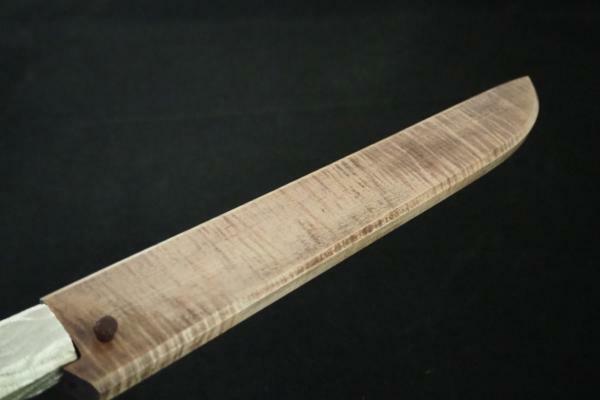 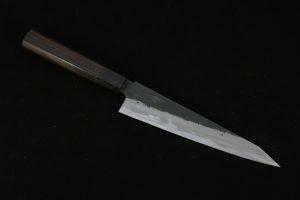 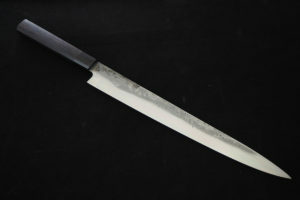 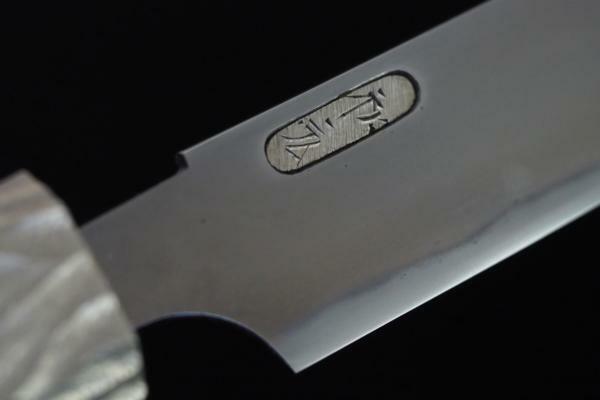 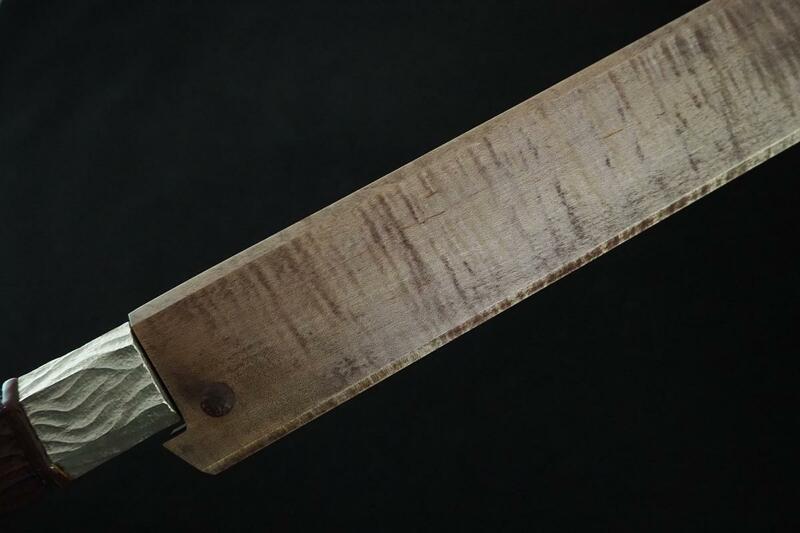 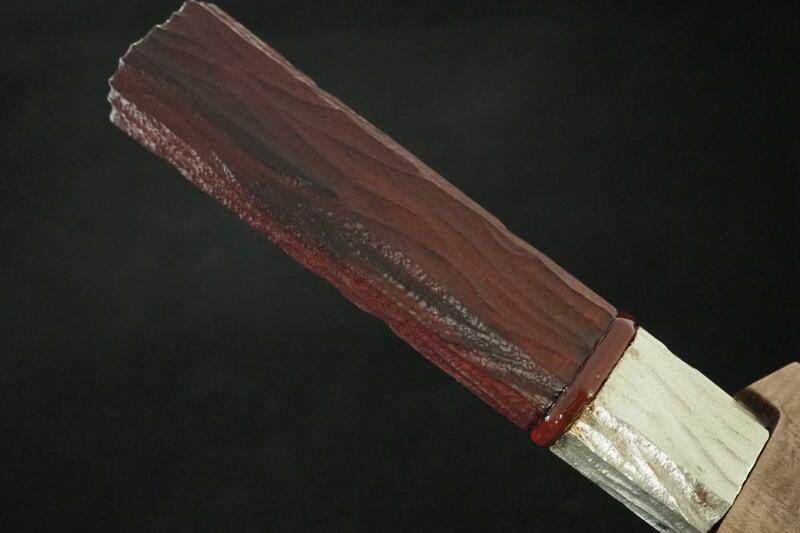 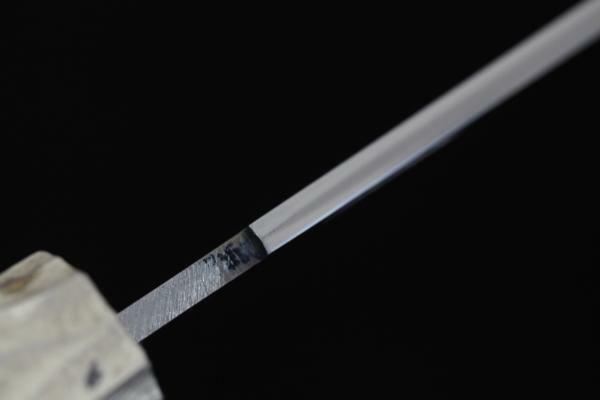 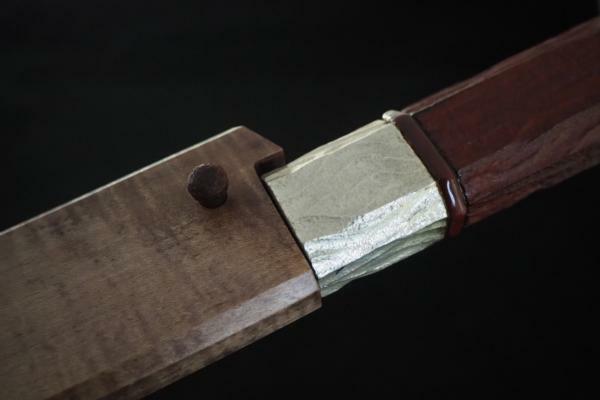 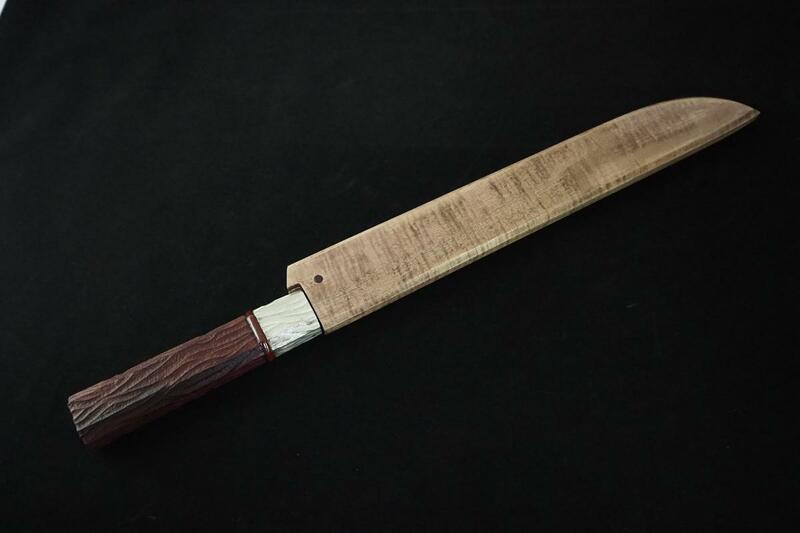 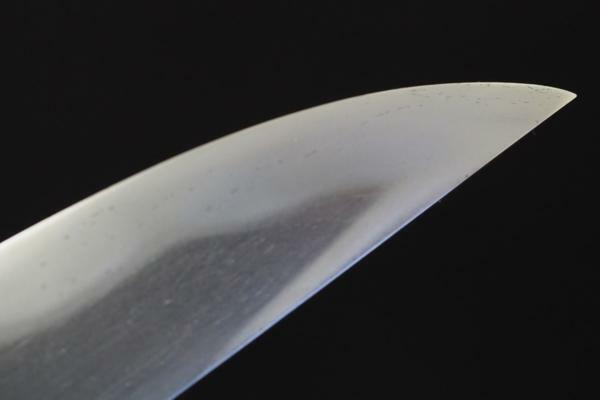 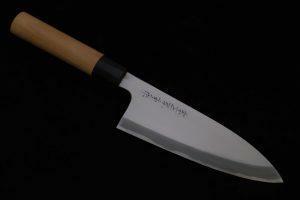 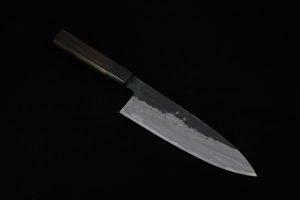 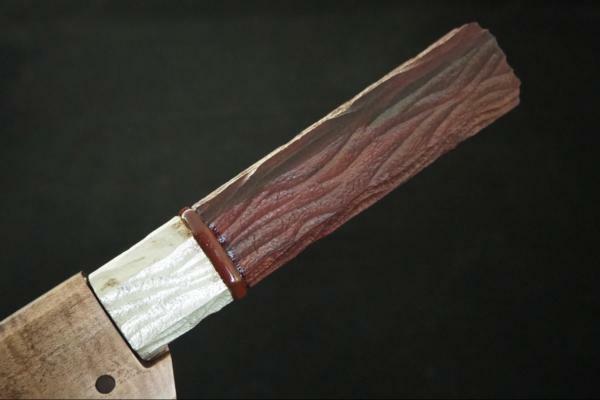 This Tanto 270mm is consignment from the bereaved of Swordsmith Hirokuni Hiroki.